Smell Proof Bags are lifesavers for stoners and cannabis consumers with that extra stinky stuff! There are many stylish and compact odor proof pouches, containers, bags, and even backpacks on the market. But, finding the very best ones can be a struggle. A lot of the products don't do what they should. Hiding the smell. Today, we are taking a look at the 12 best odor absorbing bags for weed. How necessary are smell proof bags really? They're helpful in many situations. 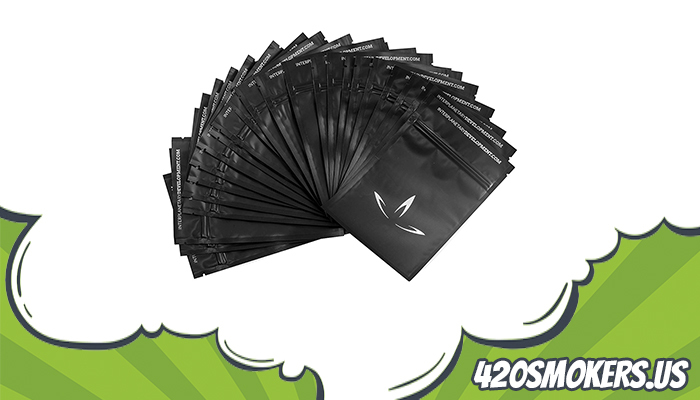 These special bags hide the odor of marijuana with carbon technology that completely absorbs any smell. Nowadays, you can find many cool looking bags that eliminate smelly items. The ones that we can recommend are the Discreet Smoker, the Skunk Mr. Slick, or the Funk Fighter. Noone will be able to smell your weed in those 3 bags. But, there are many more bags that are worth to mention in this post. The 12 bags that we have reviewed are all long-life products, affordable and processed by professionals. After all, you can't go wrong with one of them. There are many online stores that sell smell proof bags. If your thinking about how to remove the odor produced from cannabis, check one of the premium bags listed in this post. Let’s start with a few reasons why you need a stash bag. 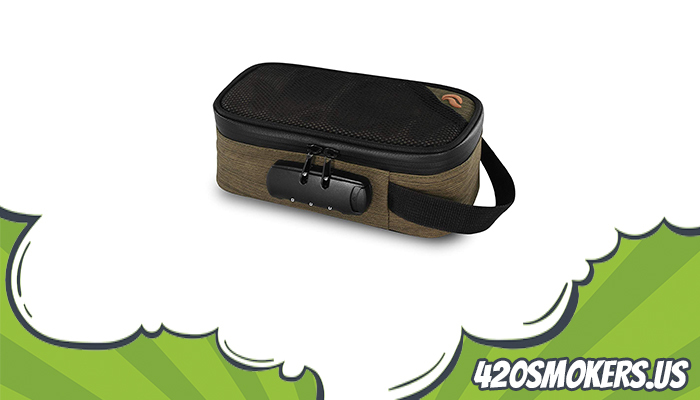 Storage & Portability - A good way to keep your cannabis fresh is to store it in such bags. Odor Absorbing - A airtight bag locks the smell inside. Affordable - You'll easily find a bag or pouch for less than $50 if you shop online. What Are the Best Odor Absorbing Bags for Cannabis? Do you want to know where to buy a bag that hides the smell of cannabis? Amazon offers great deals every day on such bags. If you want to get yourself one, make sure to read the rest this post to find the best sellers. Here are the 12 best smell proof bags for cannabis. No one will smell your bud anymore if you're carrying it in this bag. The Discreet Smoker is an odor proof bag that keeps your cannabis fresh and blocks the smell from leaving the bag. You can even leave the bag in your car for days without being stinky. 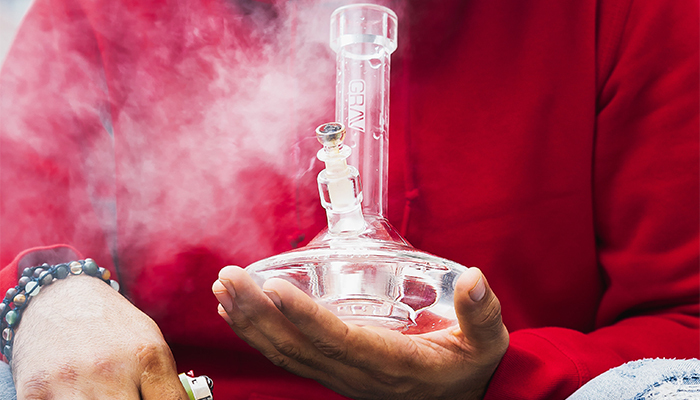 The Skunk Mr. Slick is neutralizing the odor of cannabis completely. This smell proof bag is worth the small investment of only $18. If you looking for a reusable bag that fits in your pockets, and won't let any smell out, take a look at this one. You can call this one a small stink sack. 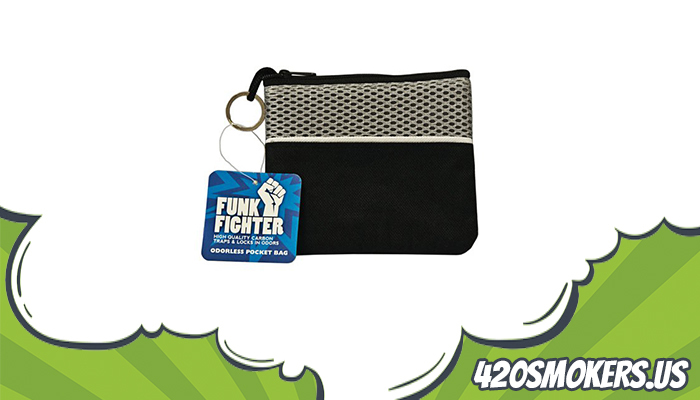 The Funk Fighter is a small pocket pouch for your buds. 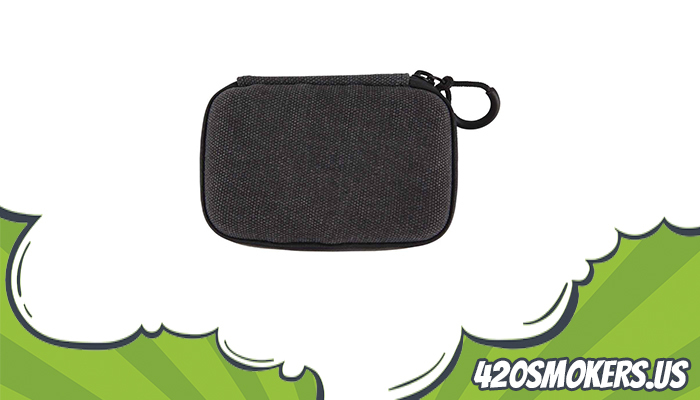 We recommend this pouch to active smokers that like to blaze outdoors, and always carrying their green with them. There are a few cool things about this bag. 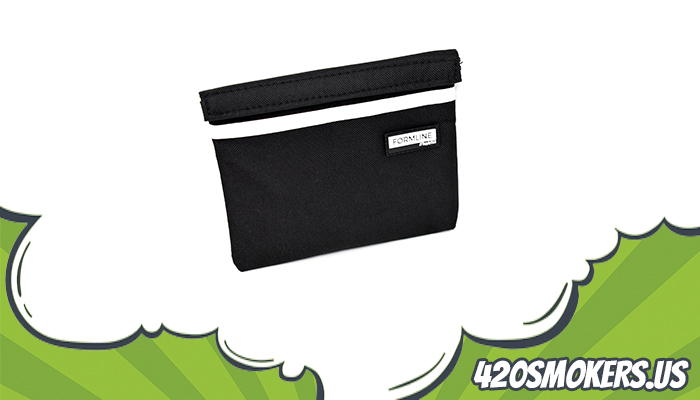 You can organize your stoner essentials in this odor proof pouch through the mesh divider pocket. Also, there's a 100% money back guarantee if you're dissatisfied. With these marijuana baggies, you can take your cannabis outdoors without being worried about your environment. One of the cheapest and best solutions is to get the 25 little 4x6 inch baggies from Interplanetary Development. The first Backpack in this post is the Skunk Vatra. 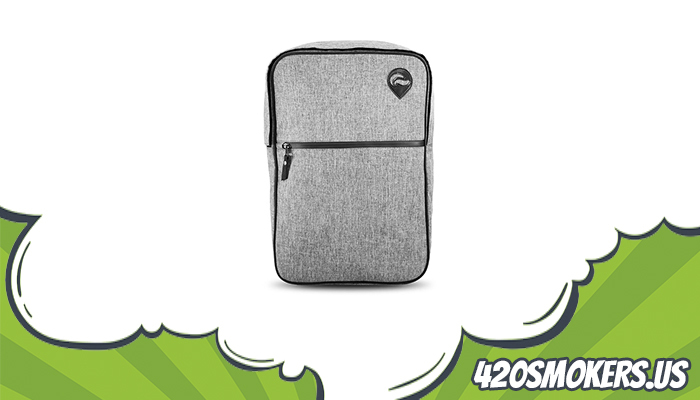 This ultra comfortable travel bag is a must-have for stoners that like to take their cannabis while camping or traveling. The Skunk Vatra is 100% odor proof and comes with waterproof zipper pockets. 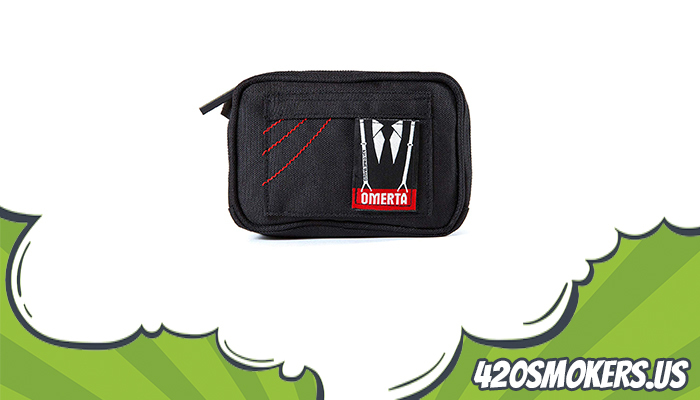 The 8-inch weed zipper case from Omerta absorbs bad smell with a carbon filter and comes with a removable odor proof pouch inside. This pouch will keep you organized. 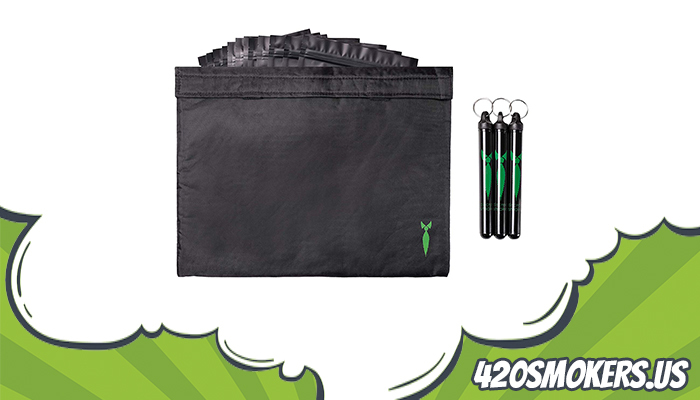 There are several pockets for your stoner essentials such as small pipes, lighters, rolling papers, filter tips and more. This hard shell case for odorous items is manufactured by cannabis experts. We would recommend it for people that vape and carry their weed and vape pen with them all the time. This case comes with a smell proof pouch. 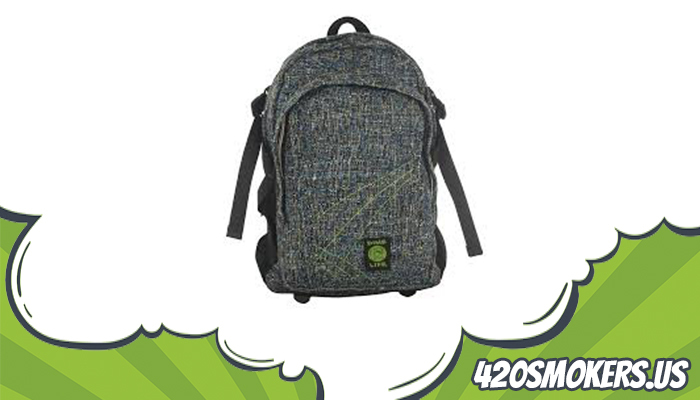 This is one of the greatest backpacks for cannabis consumers that need a complete kit. The bag is smell proof, waterproof, and is using carbon filtering to absorb smells. 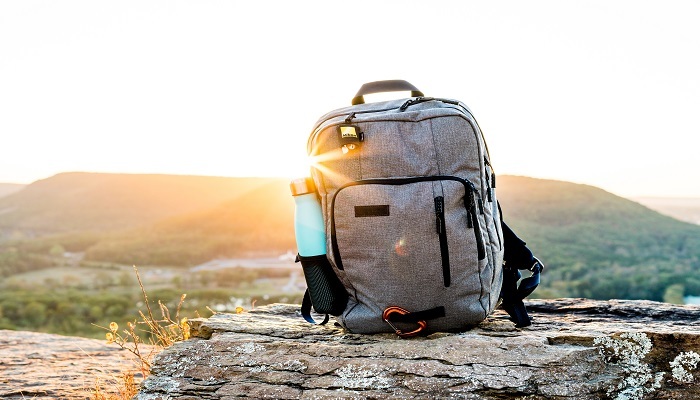 This backpack is a good option for your next adventure in nature or while traveling. Yes! Keep your weed save with this smell proof bag. The Sidekick case from Skunk is the only one with a safety combo lock. The company Skunk even patented their activated carbon technology. There's no chance for any kind of odor to escape this bag. This backpack doesn't only looks good, it's coming with many helpful features. 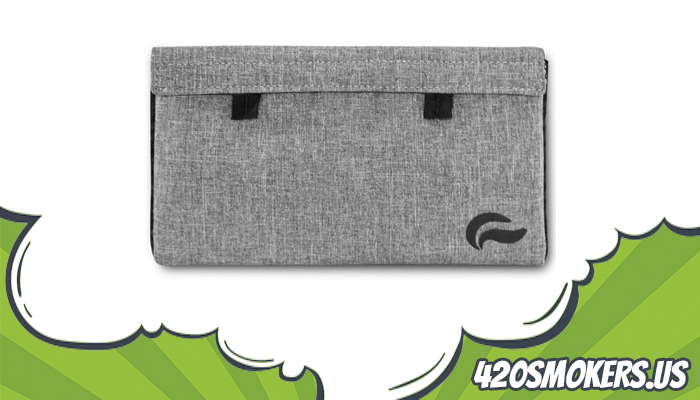 There are different pockets for your cannabis, essentials, and even for your laptop. This odor proof backpack is the only one in this post that has a place for your electronics The Backpack has also double zippers to look the smell. 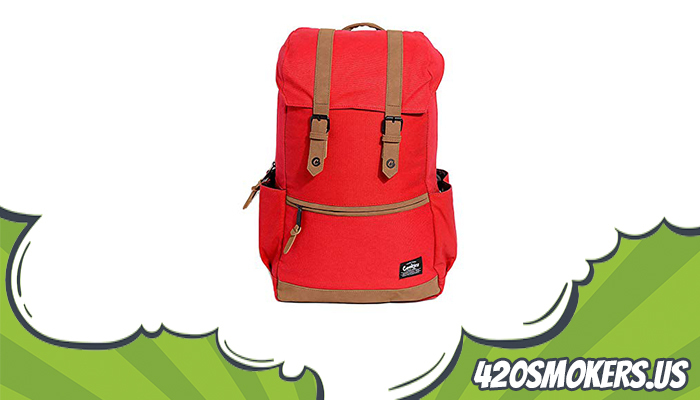 This stylish backpack from Dime Bags is a great bag for cannabis consumers that often do outdoor activities. The backpack has adjustable side straps and an odor proof pouch. There's a wide variety of smelly proof baggies, stash boxes, and backpacks. But many of them that are not 100% smell proof, uncomfortable and sometimes not well crafted. Make sure to check out the bags that we've mentioned above to find a good one. 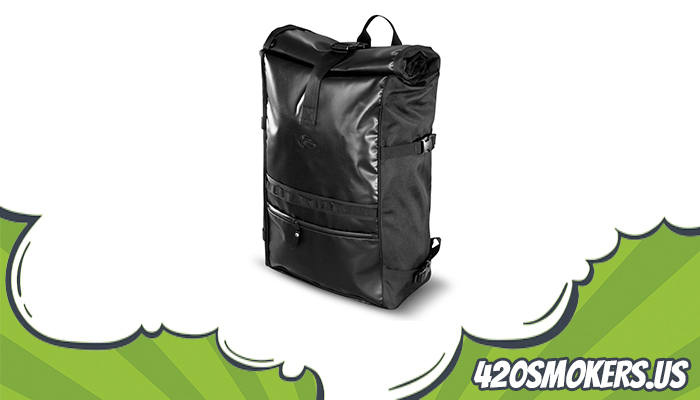 We love the Mr. Slick marijuana bag from Skunk. Simply because we prefer the design over the Discreet Smoker bag. Both are working the same good and are inexpensive.